The Pack definitely needs to concentrate on starting faster. But it did seem they got it right in the second half, so let’s put it down to first-game jitters. Good to see Pete Thomas starting at qb for UL Monroe against Wake. The guy did not fit the system at State but given the chance could make some noise in the Sunbelt. 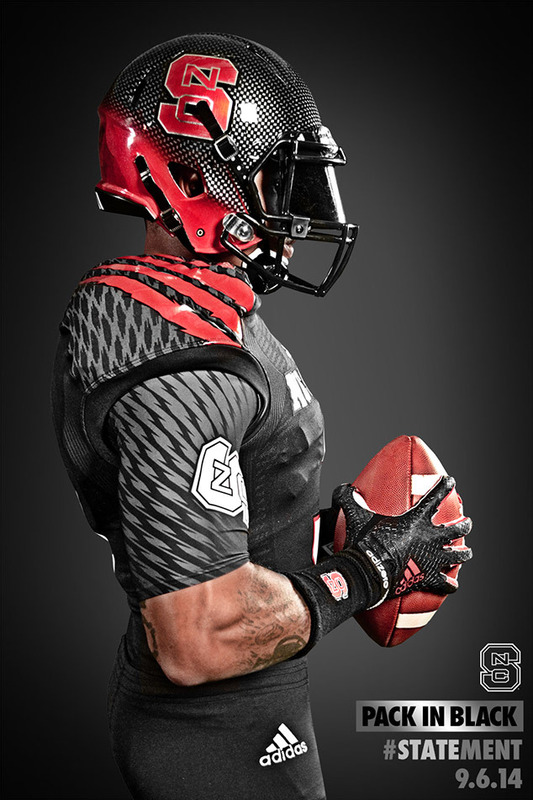 And speaking of black uniforms, Louisville looked pretty sharp in theirs, although the helmet logo was a little hard to make out. But with the licking Petrino’s gang put on Miami they will probably be wearing them again sooner rather than later. The Pack looks good in black. I agree with you on our black helmets, the red was hard to see. Thanks. Watching the Louisville-Miami game I was more impressed with the look of your field than the unis. Something about that field just screams “FOOTBALL!!!”. No kidding, I think you guys have the best venue in the league. Thanks. When they painted the end zones black awhile ago that realy changed the look of the field.